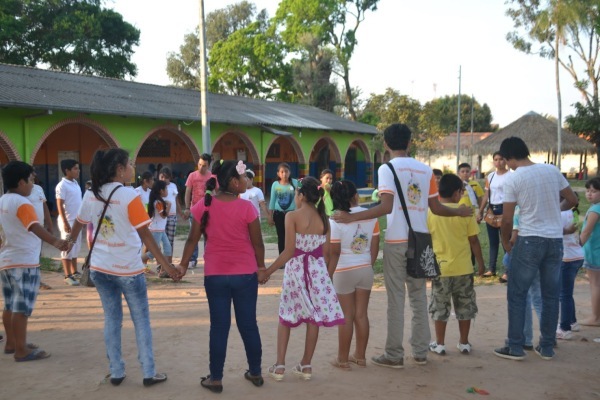 Volunteer project: In Bolivia, with the New Plurinational State, 36 indigenous nations and cultures have been recognized that for some years have recovered ancestral practices and customs. An example is the Sun party or Inti Raymi that is celebrated on June 20 and 21 in the mountains, for which various cultural activities are performed. This is a good opportunity to get to know the local culture, to share and to collaborate with the local population. • Promoting the cultural activities of the Winter Solstice. Accommodation: Volunteers will be accommodated in a community center in Cochabamba, in shared rooms. Location: The project is located in the Central Region of Cochabamba. Volunteer project: The Torotoro National Park, known also as Bolivia’s Jurassic park, is a spectacular place where thousands of dinosaur footprints, sweeping canyons, surreal rock formations and thrilling underground caves enchant the visitors. This project aims to support the promotion and conservation of Torotoro National Park and the self-management of the rural communities that are part of it. The project activities will be coordinated with the Community Guides of the Park and the Park Management. • Tourist promotion of the Park in the city of Cochabamba. • Support for the Community Tourism Guides. • Awareness campaigns about the conservation of the Park and keeping it clean. • Participation in the tours in the Park. • Work with the local population of the Park. Accommodation: Volunteers will be accommodated in community centers. 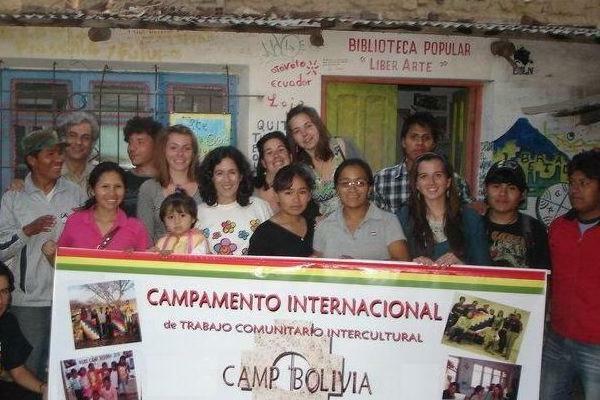 Volunteer project: In August, the cities of Cochabamba and Quillacollo host extensive socio-cultural activities. Meetings and cultural events are organized in alternative locations and spaces, such as plazas, cultural centers and on the street. This year, we will organize the International Meeting of Art, Culture and Alternative Tourism "Pachamama" to promote popular culture in alternative spaces. • Assisting in the organization of the Conference and the Meeting of Art, Culture and Tourism. • Promotion and dissemination of information about cultural events. • Promotion of cultural and alternative tourism places of Cochabamba. • Participation in the traditional Festival of Urkupiña - one of the largest religious festivals to take place in Bolivia. • Logistical support to cultural events. • Touring areas near Cochabamba to enjoy the nature and interact with the local population. Volunteer project: Since the Water War of 2000, the historic main square of Cochabamba "September 14" is the place for various social and cultural activities. The September 14th Plaza receives hundreds of visitors, and community groups and organizations hold exhibitions, fairs and festivals, information and education workshops, film, poetry and book forums, etc. This is a good opportunity to demonstrate the cultural and participatory potential of the people in the square. The volunteers will be providing logistic support for the development of cultural events in the square. They will participate in the organization of cultural activities, promotion of events and media coverage. Accommodation: Volunteers will be accommodated in a community center in the west part of the city of Cochabamba, 15 minutes from the central square September 14th. Location: The project is located in the center of Cochabamba and the activities will take place in the main square of the city. 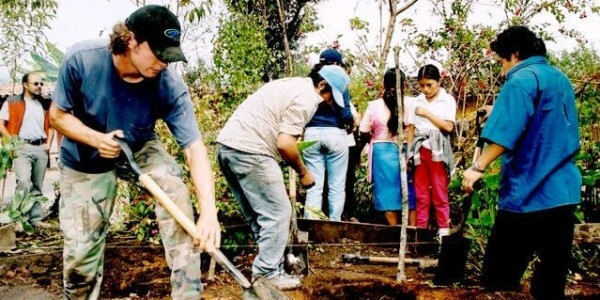 Volunteer project: The volunteers in this project will support the work of an Eco-social and Cultural Center in Villa Busch, in the west zone of Cochabamba, on the outskirts of the city. The Center was opened in 2014 and it has a public library and a hostel for volunteers. The project aims to sensitize the local population on issues of waste management and environmental protection, and to promote urban gardens in the community. • Raising awareness through campaigns for recycling and reusing waste. • Building a room with natural materials. • Environmental education workshops for children, youth and adults. • Cultural and educational activities will be held in the central plaza of Cochabamba in the evening. 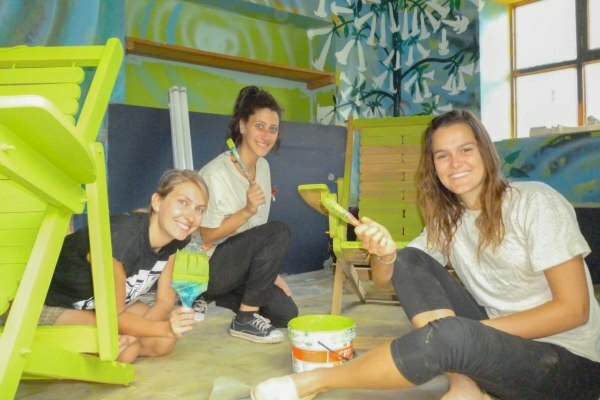 Accommodation: Volunteers will be accommodated in the hostel of the Eco-social and Cultural Center in Villa Busch. Location: The project is located in Villa Busch, a popular district on the outskirts of the city of Cochabamba, 15 minutes from the city center. Volunteer project: The Carnival of Oruro is the most famous festival in Bolivia. It is one of UNESCO's Masterpieces of the Oral and Intangible Heritage of Humanity. 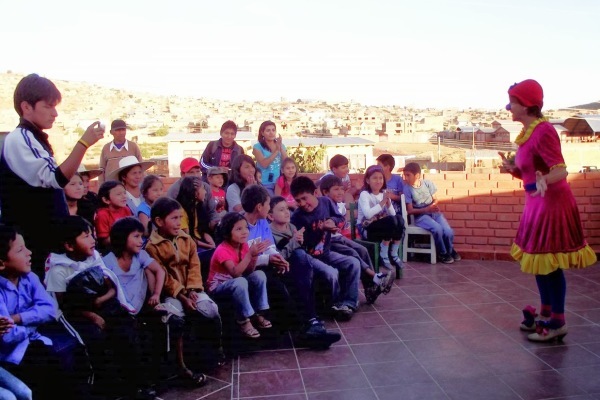 In Cochabamba, we'll organize cultural and educational activities before the Oruro Carnival. Then we'll participate in the Carnival of Oruro, in the "Anata Andino", which is an indigenous dance of gratitude to Pachamama or Mother Earth. In Bolivia, the Carnival is associated by indigenous influence to the festival of the harvest received from Pachamama. 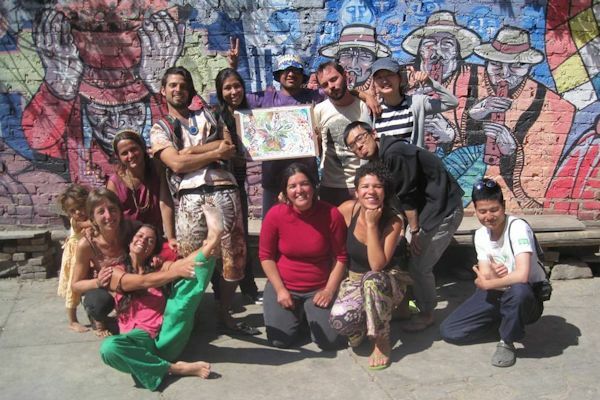 It is in this context that we organize alternative, cultural and educational tours in Cochabamba as well as in Oruro, so that the volunteers can understand and share the local culture. • Promotion of cultural and alternative tourism areas of Cochabamba and Oruro. • Participation in the popular pre-Carnival party. • Participation in tours to alternative tourism communities near Cochabamba to enjoy nature and interact with the local population. • Participation in the Carnival of Oruro. 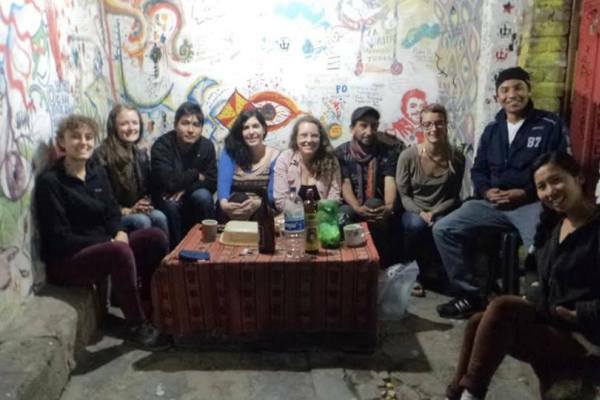 Accommodation: Volunteers will be accommodated in a community center in Cochabamba and in a youth hostel in Oruro. Volunteer project: In 2014, UNESCO declared the Tarabuco carnival, known as the "Pujllay", as Intangible Heritage of Humanity for its originality and indigenous cultural richness. This cultural manifestation belongs to the Yampara culture of the Quechua Nation which is one of the strongest and most warlike for its cultural resistance. The carnival takes place in the municipality of Tarabuco where indigenous communities parade in multicolored dances. The party is the best opportunity to meet and admire this great community culture that maintains its multicolored ancestral fabric. It is important to make this great indigenous culture visible to the world with the help of volunteers and local community. • Promotion and media coverage of the Pujllay festival in Tarabuco. • Eco construction work in the field. • Visiting places of alternative tourism in Cochabamba, Sucre (World Heritage) and Tarabuco. • Support the garbage recycling works in Tarabuco, generated by the carnival. • Documentation of cultural events. Accommodation: Volunteers will be accommodated in a community center in Cochabamba and in youth hostels in Sucre and Tarabuco.